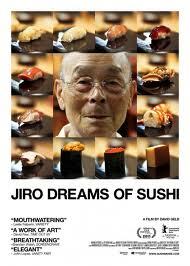 Jiro Dreams of Sushi is a small film, minimalist in every respect. Tender, intimate, and honest, this documentary demonstrates majestic simplicity. Crisply shot with the Red One and Canon 7D, David Gelb ability to capture compact but meaningful cinematic visuals reveals a subtle storytelling genius. The film’s flavorful imagery all but places each dish onto your watering tongue. Although Jiro lacks the polish of a high-budget studio film, raw elements such as the modest, inconspicuous soundtrack (as minimalist in composition as the movie itself) work in favor of the film instead of against it. Superficially, Jiro provides an insightful cross-section into the alien microcosm of a world-class sushi chef in Japan and its thematically related orbiting satellites. But on a deeper, more profound level Gelb’s documentary illuminates the relationships of fathers and sons—and by extension, masters and apprentices—as universal, transcending both culture and context. Simple, honest, gorgeous. 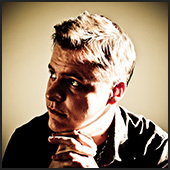 A masterful accomplishment for a young filmmaker, worthy of the praise of foodies and cinephiles alike. Place Jiro Dreams of Sushi on your must-see list—and then plan on going out for sushi.